If you're unable to start any service in Windows 10 due to error 0x80070005: Access is denied, this article will help you to fix it. In Windows 10, the system services require proper permissions to operate. If either of the services is denied with permissions, they can’t be manipulated at all. Windows could not start the Windows Audio service on Local Computer. Error 0x80070005: Access is denied. If you’ve also received Access is denied (error code 0x80070005) with any of the service, you need to check permissions related to it and fix them, in order to let the service operated as expected. Here, replace <AFFECTED SERVICE> with the Display name of service with which you’re getting error 0x80070005. The Display name for a service is mentioned on its property sheet (double click on service to get this). In our case, it is Windows Audio service whose display name is Audiosrv, hence we navigated to HKEY_LOCAL_MACHINE\SYSTEM\CurrentControlSet\Services\Audiosrv. 3. In the Permissions sheet, click Add button. 4. Moving on, click on Advanced button on next window. 5. Now on next screen, click Find Now, then from Search results, select SYSTEM and click OK.
6. Then click OK on next window. 7. Back on the Permissions window, select SYSTEM and under Permissions for SYSTEM, check Allow column for Full Control. 8. Similar to previous step, select your and Administrators account and provide Full Control permissions. 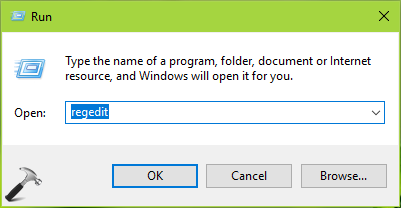 Click Apply followed by OK.
Exit Registry Editor and re-try to start/stop the service with which you’re facing this error. This time it should start/stop without any issues. Thanks for the post on fixing the error. I have the same error for the Windows Audio service in Windows 10, however when trying to apply your recommended fix I notice that the permissions “Full control” and “Read” are enabled in grey (they appear black in you screen captures). I am unable to change them, and of course still have the problem. Any suggestions would be most welcome. ^^ Which step you’re referring to? You can take ownership of the registry key, if you’re not able to modify permissions. The check boxes are grey (but checked), just as some others observed. And basically I didn’t solve the problem. I read your article about taking ownership, but failed to understand how to take control manually of the registry setting. (Want to avoid installing extra stuff on the computer). ^^ You should take ownership otherwise you can’t follow steps completely. In this case, SYSTEM is the machine object to which permissions can be allowed or denied.